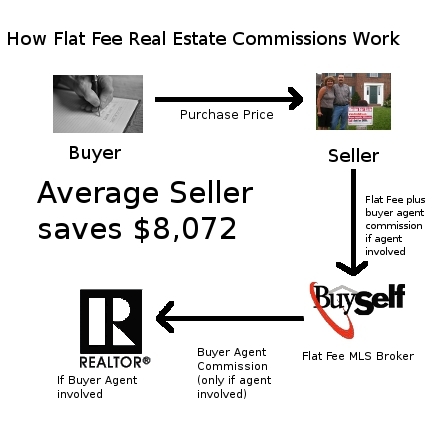 With a flat fee listing, instead of paying that 6%, at listing you pay just a low flat fee that averages around $399 to $499 depending on your area. 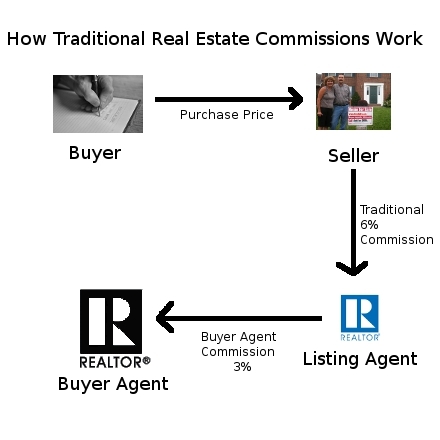 If your buyer has an agent: Instead of paying a high commission of 6%, you pay a much lower commission, usually around 3%. This commission can be set by you and varies between 2-3.5% depending on your area. Looking at that same $200,000 home, that's a savings of $7501 or more, minus the normal closing costs! If your buyer does not have an agent: You just saved even more, because there is no selling commission, just the normal closing costs. For the same $200,000 home, that's a savings of $11,501 or more, minus the normal closing costs! * Average Listing fee paid prior to listing, see service page for your area for exact amount. It's your equity. We help you keep it.